The engineering within the Solarius Wellness Pod creates a blend of energy – radiant heat and steam. This two part process transforms your skin by creating ideal conditions for, skin hydration, softening, melanin activation and product absorption, the result – younger more radiant looking skin. 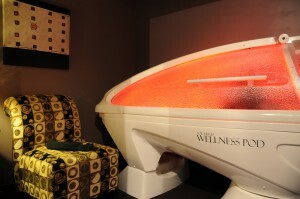 The natural element of Radiant Heat delivers a powerful stimulating effect in the skin. Your body contains more than 90% water, and heat is quickly absorbed by water. 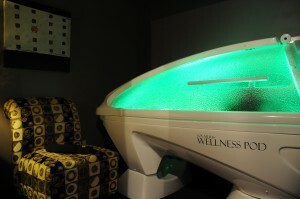 Radiant Heat from the Wellness Pod stimulates your skin and is called Vasodilation. Vasodilation increases your blood circulation, reduces your blood pressure, and allows for greater product absorption. Radiant Heat delivered at your body’s own natural frequency. Efficiently heats your body from within. Vasodilation – increasing blood circulation and reducing blood pressure. Enhances the absorption of skincare products. With every Wellness Pod experience your skin is transformed by the powerful properties of dense steam. While radiant heat stimulates the skin, steam becomes a natural cleanser, balancing your skins pH levels and replenishing moisture. The results are refreshing. Leaving you with – clean, balanced, and hydrated skin. Detoxifies the skin and body. Creates a blanket of condensation on the skin. Improves your skins moisture level. Promotes even absorbtion of skincare products. With your Wellness Pod session choose from three types of Oxygen Science™ Concentrates, Aloe Concentrate, E and C Concentrate, or Mineral Melanin Concentrate, a proprietary blend of vitamins, minerals, and pharmaceutical grade botanical extracts. These liquid vitamins drench the body in a delightful Oxyhydrating bath. Added to the Hydrofusion™ process of radiant heat and steam, Oxygen Science concentrates provide you with a result that prepares, prolongs, and protects your skin. Choose from three Oxygen Science™ Concentrates. Aloe Concentrate – Aloe Vera, Malachite (copper) extract, Collagen, Elastin, Vitamin A, Green Tea extract, Cucumber and Melon essential oil blends. E and C Concentrate – Vitamins E and C, Collagen, Elastin, Algae extract, Vitamin A, Citrus essential oils. Mineral Melanin Concentrate – Malachite (copper) extract, Green Tea extract, Co-enzyme Q10, Vitamin A, Collagen, Elastin, Coconut and Melon essential oil blends. Light is nourishment to the body. It is essential that we receive light into our bodies everyday. But instead, we have become a society of staying indoors most of the time. When we are outside, we may wear glasses, contacts or sun screen. All of these block some portion of the full spectrum of light which starves a part of our body. Light enters our body primarily through the eyes, and also via the skin . Light stimulates and supports the important endocrine system as well as the immune system and organs of the body. 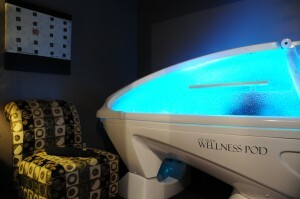 The visible spectrum as well as infrared and ultraviolet light are essential for the complete health of the body. It has been shown that 2 hours of indirect sunlight everyday create healthier bodies and emotional well-being. Creates a feeling of peace, serenity, and trust and has a cooling and calming effect on our senses. It encourages us to communicate our needs, realize our souls purpose and express our creative self. Blue helps relieve insomnia, lowers high blood pressure, calms the nerves, eases the mind and soothes the entire being. It has an anti-inflammatory and anti-septic effect on the body; it relieves stings, itchiness and rashes. It calms, cools, reduces fevers, feeds the respiratory system and links to the throat and thyroid gland. Violet links us to our divine will and our spiritual quest in which we desire to experience all that the universe has to offer. Violet inspires us to seek answers to philosophical questions and develop our ability to freely discuss our changing beliefs. It encourages us to aspire to our highest ideals; replacing creative blocks with inspiration. Violet purifies the blood, relieves skin problems, nervous headaches, eye and ear problems and sore gums. 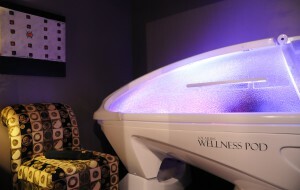 It restores calm to the body and mind, easing headaches and migraines. Balances, creates harmony and brings us back to our natural centre. It connects us to feelings of love and compassion for one another and for the world we live in. It regulates and harmonizes blood pressure, the nervous system, soothes and relaxes the heart and calms the whole physical and emotional body. Green encourages growth, self love, eases stress and strengthens our inner resolve. Commands our every action; it is the color of our physical self, our survival instincts and our connection to the earth. Red activates, creates movement and arrests attention. It expresses passion, danger, anger, joy and celebration. Creating warmth and excitement, red stimulates our senses; it has the longest wavelength and slowest frequency. Having the closest vibration to infrared, it creates a sensation of fiery heat and warmth. Red boosts our circulation, raises blood pressure and gets our heart pumping faster. It raises our libido, increases determination and gives us the will to move forward. It pushes us to break free from the past and demands that we live in the here and now.